The Browns have reached the 53-man roster maximum by making a whole lot of cuts and acquiring one player just before the bell. On Saturday, the Browns announced that they acquired defensive lineman Devaroe Lawrence from the Saints in exchange for a 2019 seventh-round pick. Lawrence, 26 in October, overcame legal trouble as a youngster to achieve his dream of making it to the NFL. Injuries have held him back in the pros, but the Saints stuck by him even after ACL surgery in December of 2016. Here are Wednesday’s minor moves. That was fast. The Raiders have released quarterback Christian Hackenberg just three weeks after acquiring him, according to a team announcement. Linebacker Brady Sheldon has also been cut. With those two out of the picture, the Raiders have formalized the signing of defensive linemen Ahtyba Rubin and Frostee Rucker. 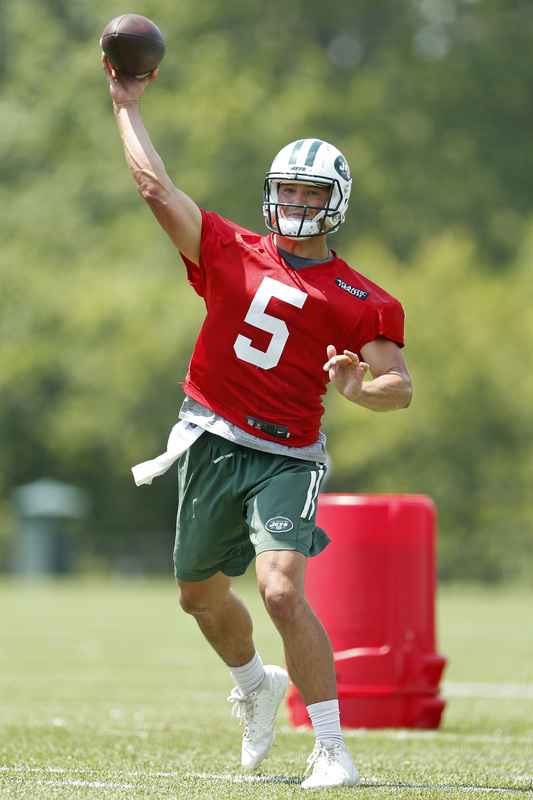 Hackenberg was considered to be an extreme longshot to make the Jets’ final cut following the re-signing of Josh McCown, the free agent addition of Teddy Bridgewater, and the drafting of Sam Darnold with the No. 3 overall pick. The waiving of Bryce Petty gave the former Penn State signal caller some reason for hope, but the Jets saw little need to keep Hackenberg around after Bridgewater took the practice field on Tuesday with no ill effects from his surgically-repaired knee. In May, the former second-round pick was sent to the Raiders for a conditional seventh-round choice. The Jets will not receive any compensation for the QB now that he has been released. Despite Jon Gruden‘s affinity for Hackenberg, which dates back to his college days, his odds of making the Raiders’ final cut weren’t much better than they were in New York. The Raiders already have E.J. Manuel and Connor Cook battling for time behind starter Derek Carr. With Hackenberg’s release, it seems likely that those three will be the QBs on the opening day roster, barring another addition. Per league rules, Hackenberg will be subject to waivers. If no club claims him and his contract within the next 24 hours, he’ll be free to sign with any team of his choosing.